Colonic irrigation with sodium bicarbonate. Includes an initial consultation. If you suffer from wheat gluten intolerance, irritable bowel syndrome or other digestive issues, bacteria or fungi may be the culprits. An overgrowth of candida in the digestive system can cause a number of chronic ailments, including constipation, bloating, indigestion and colitis. One of the most efficient ways to rid the body of this harmful fungus is through colonic irrigation. Because fungal colonies living in the colon are protected by a layer of mucus, most antifungal medications and supplements cannot reach the fungus to eradicate it. This is why we offer colonic irrigation at our London office. The process essentially involves the cleansing of the colon in order to eliminate fungi and bacteria. Candida and other microorganisms thrive in the colon, but they don’t easily develop in the small bowel. Hydrochloric acid, bile, enzymes and sodium bicarbonate effectively sterilize the environment. 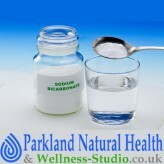 Consequently, sodium bicarbonate delivered to the colon through colonic irrigation can kill off candida. We provide this safe and effective colonic hydrotherapy at our London facility. The body is equipped to fight infection and disease, but candida and similar destructive microorganisms can attack the colon rapidly. Because of this, we believe colonic irrigation is the key to a healthy digestive tract. It’s also an ideal way to optimize weight loss and improve overall wellness. When you visit our London clinic, we can discuss your personal needs and provide you with options. Protecting your colon can decrease your chances of developing infections and diseases in your digestive system. You may need multiple colonic hydrotherapy appointments in order to experience the best results. If you’re in the London area, you can set a consultation appointment with us online. Let us help you maintain a healthy colon so that you can boost your well-being and live a healthier and more normal life. Thank you Anatoli. Today's treatment was very successful. Thank you for your kind, respectful and professional help. I had an anti-candida colonics and the effects. Chronique fatigue, gas, itchiness and cravings disappeared. My complexion is a lot brighter too. I recommend it. THE BEST IN LONDON! This was by far the best place I have been for a colonic over the number of years I have had them for health reasons. Both practitioners were so so knowledgeable and so helpful. Annoyingly I had booked a second one at a totally different clinic to see the difference and I cant tell you the bad experience I had. So for my third I came straight back here. Easy booking. Easy to get to and the most lovely down to earth people. I felt safe, respected and cared for which was so important after the experience elsewhere. DONT GO ANYWHERE ELSE! The treatment I received from Anthony was very comfortable and throughout I was very much at ease. I am happy to say I will return and book further treatments. Overall the last treatment proved successful. I felt very comfortable during the treatment and my practitioner helped to get the best result with manipulation. I was thrilled with the results and have booked for a second foliow up treatment, thank you!